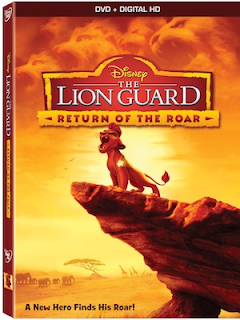 Synopsis: Meet Kion, second-born cub of Simba and Nala, as he assumes the role of leader of “The Lion Guard,” an elite team of animals tasked with preserving the Pride Lands. Follow him as he assembles a group of unlikely heroes: Bunga the honey badger, Fuli the cheetah, Beshte the hippo and Ono the egret. Join them on a thrilling adventure as they use their unique abilities to defend the Pride Lands from predators and maintain balance within the Circle of Life. Bursting with humor, music, beloved characters and heart, The Lion Guard: Return Of The Roar is a must-own for the entire family! Feature Run Time: Approx. 44 mins.